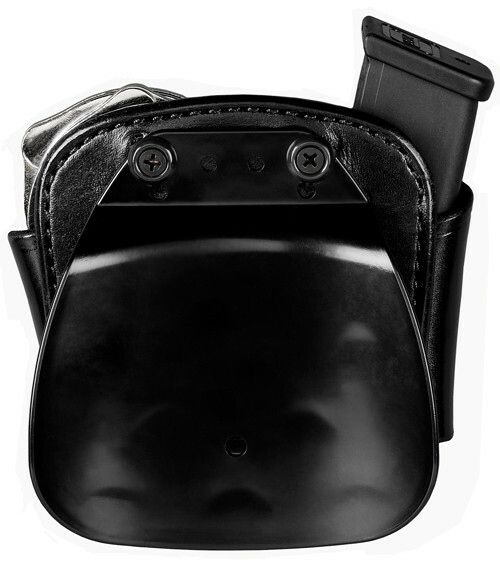 This combo mag holder and cuff case features a contoured plastic paddle that provides comfort, security and a low profile. Top-grain cowhide and adjustable tension screw. 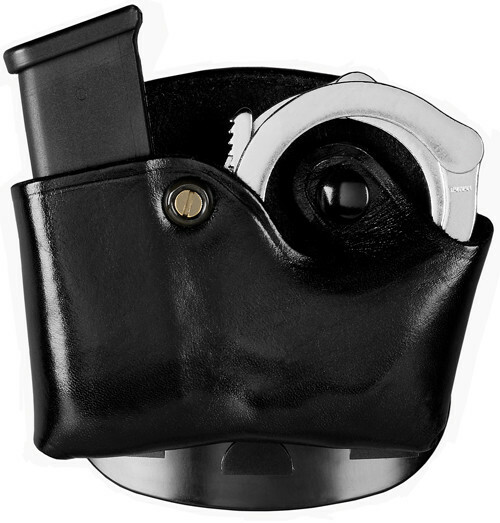 Accommodates standard handcuffs and 9mm/.40, .380 or .45 mags. Specify magazine group when ordering.